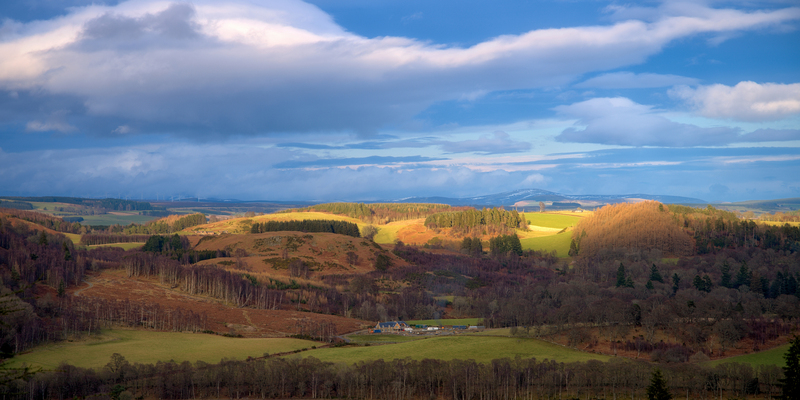 I’ve been to Birnam Hill and Duncan’s Hill area at least six times, so it made a good testing ground for the new Pentax K-1 camera. 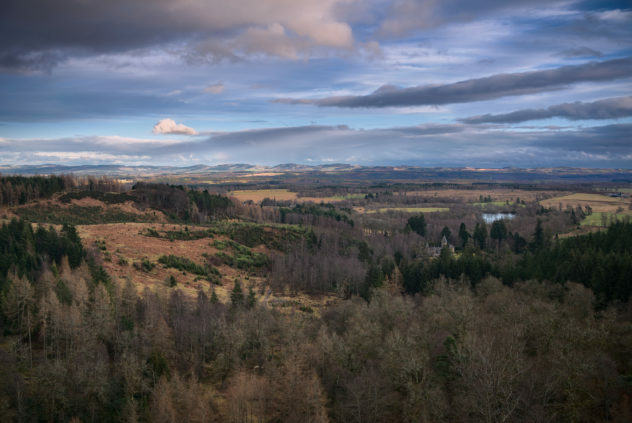 For some years I’ve known the Highland Boundary Fault crosses the A9 around Dunkeld/Birnam area, but never really pinpointed the exact location. As I passed the edge of the established woodland, there was a pronounced drop of about a metre to the level of the new conifer trees to the right. And I wondered if this was a particular noted geological formation. 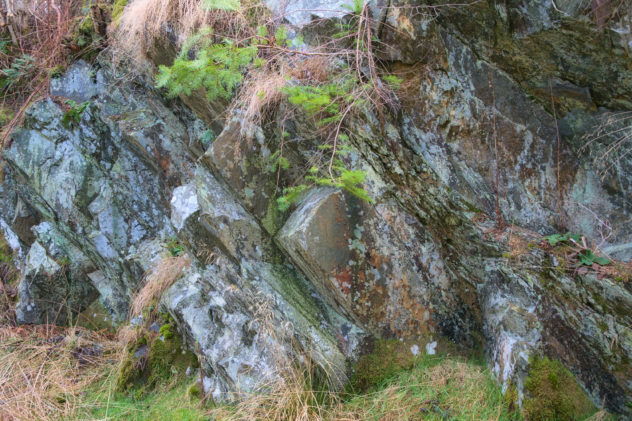 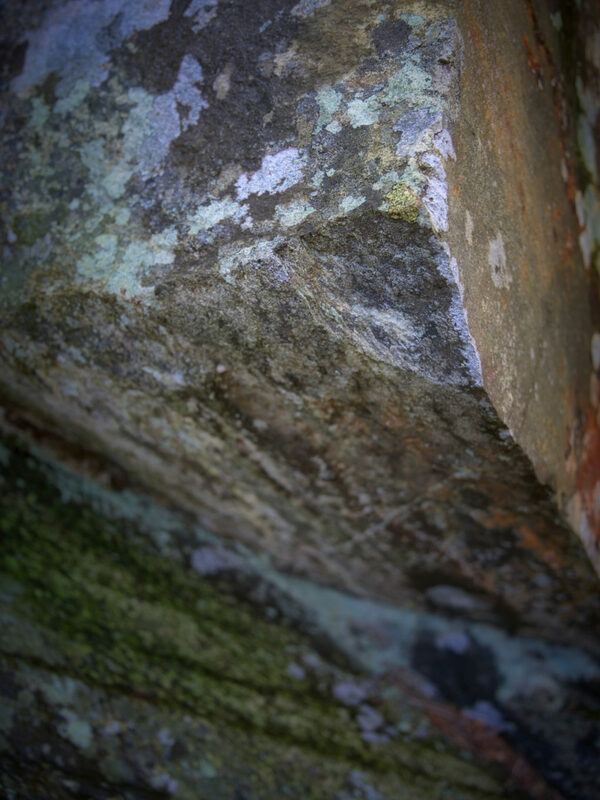 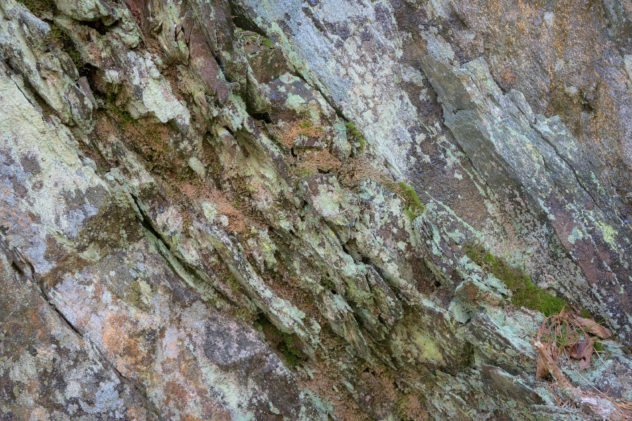 On more recent visits I geotagged the location and compared with the British Geological Survey’s maps to see the rock types change either side of the dip – till, changing to slate and grit and then to psammite and semipelite typical of the Highlands. 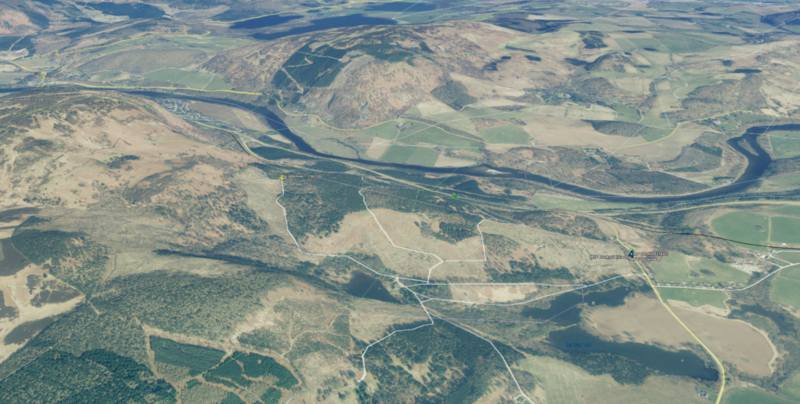 On further investigation with Google Earth, the photo on the corner of the dip is right on the line of the Highland Boundary Fault itself, running up from Rohallion Loch through the lodge, round north-east turning easterly across the A9 south of Birnam. 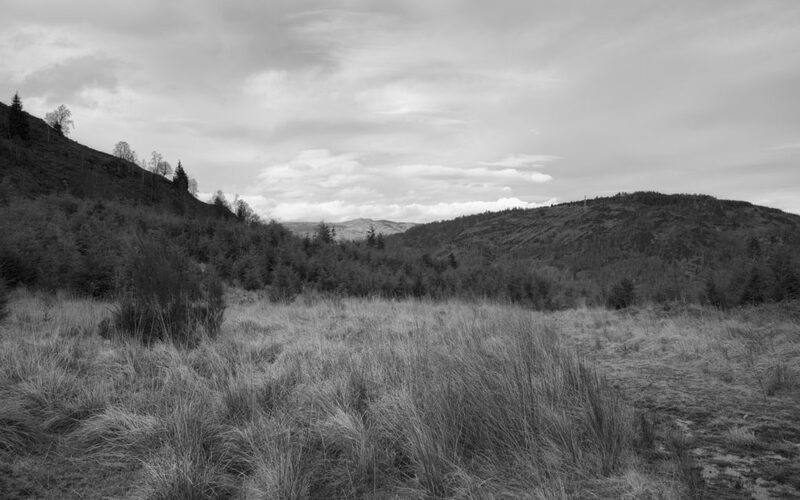 The path continues across a pronounced dip in the landscape before continuing up the other side to Stair Bridge Viewpoint and the King’s Seat on Birnam Hill. 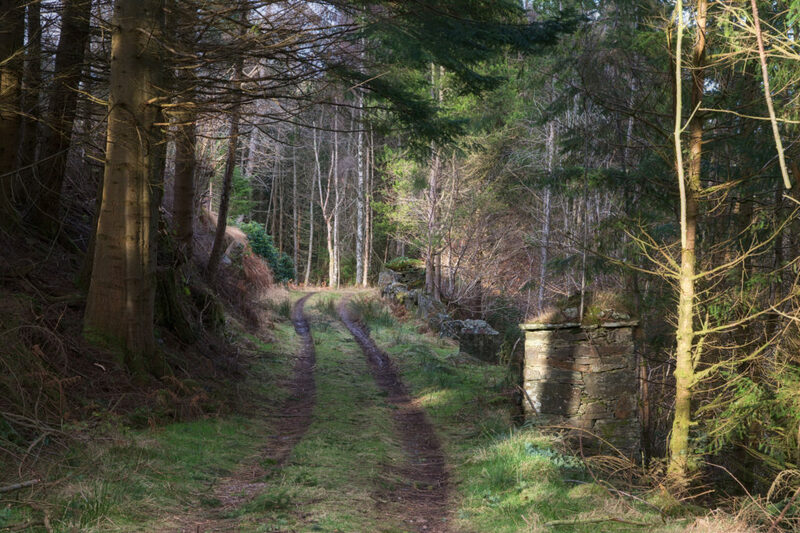 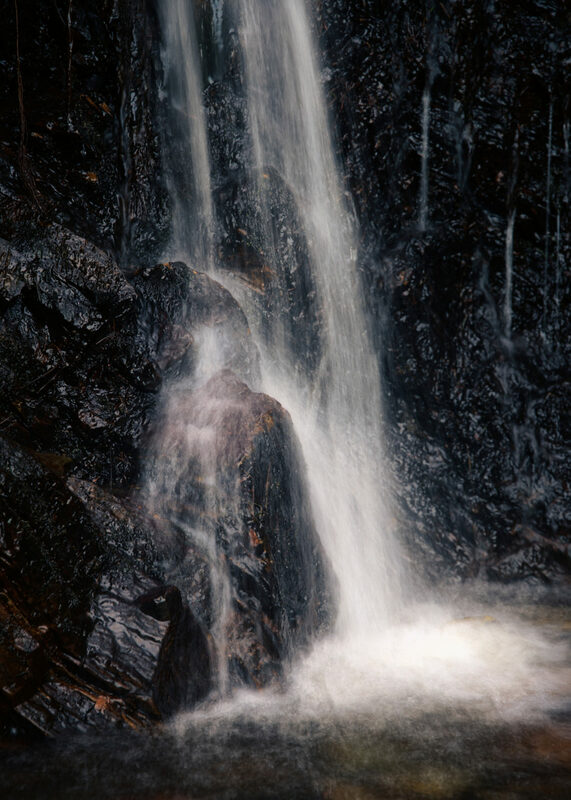 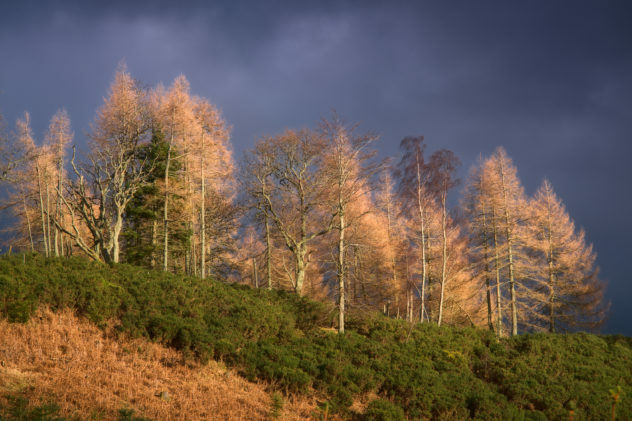 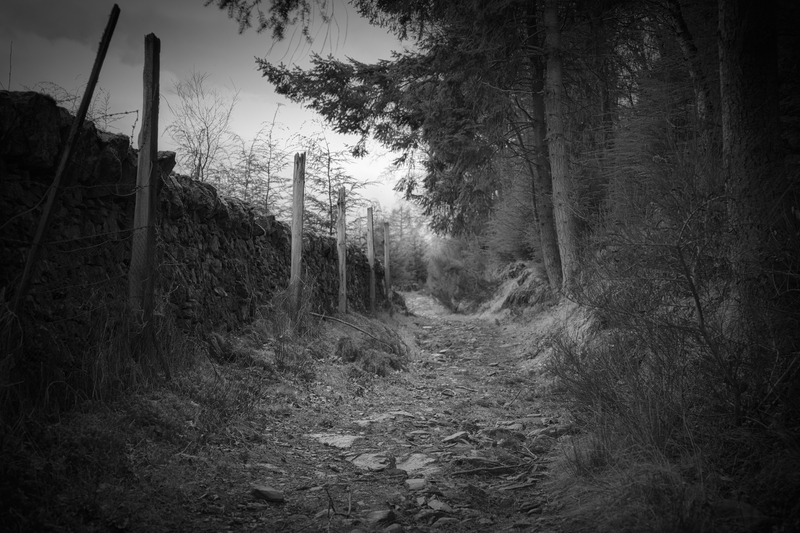 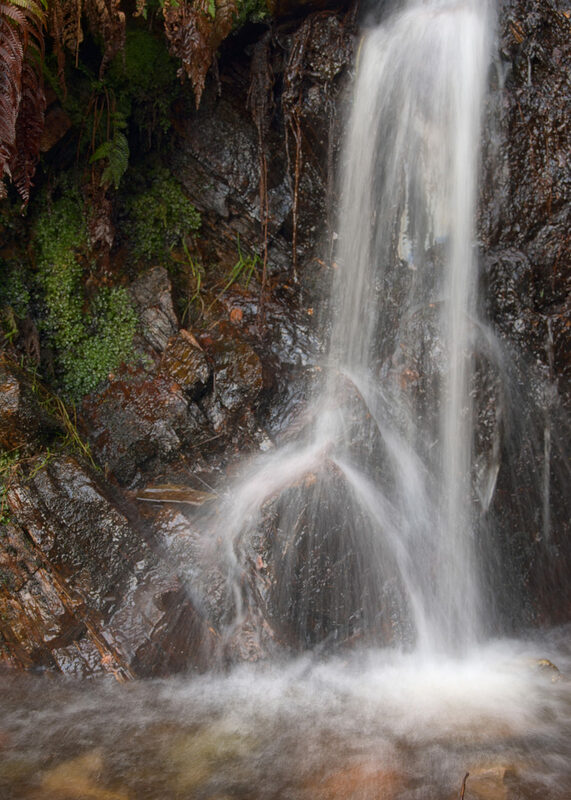 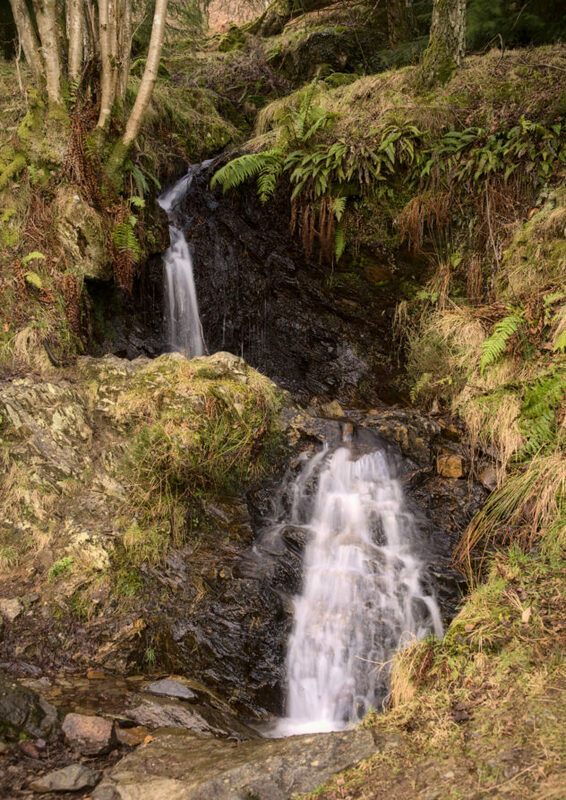 This entry was posted in art, Highlands, intimate-landscape, Landscape, landscape, nature, Perthshire, photos, Scotland and tagged Birnam Hill, Dunkeld and Birnam, geology, hdr, Highland Boundary Fault, landscape, nature, Pentax K-1, Perthshire, photos, rocks, Scotland, waterfall.